The Kurdish Situation Report is a weekly update on the latest news coming from the four Kurdish regions in Iraq, Turkey, Syria and Iran. The Kurdish Situation Report is co-produced by the Washington Kurdish Institute and The Kurdish Project. 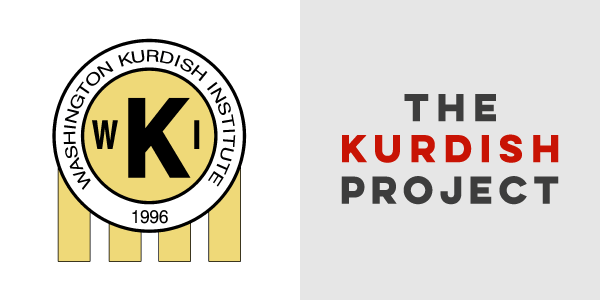 If you have any tips, notes or otherwise interesting bits of information, please pass them along to admin@thekurdishproject.org or on Twitter@KurdishProject. Want to get the Kurdish Situation Report delivered directly to your inbox? Sign up for our email newsletter below. The pro-Kurdish Peoples Democratic Party (HDP) officially launched its election campaign on Friday in Ankara. The November 1st election will be Turkey’s second in 2015, the first of which resulted in a hung parliament. The HDP is running in opposition to the presidential governing system favored by the ruling Justice and Development Party (AKP). Another curfew has been instituted in several Kurdish areas including Nusaybin district in Mardin, Silvan district in Amed (Diyarbakir) and parts of Sirnak. ANF news reported that during the curfew, security forces killed two minors and wounded several others. Tensions between security forces and civilians in Kurdish cities in Turkey have escalated in the face of Turkey’s November 1st election. Media agencies have reported a total of five civilian deaths in the past week. Although no agreement has been achieved between the political parties for Iraqi Kurdistan’s presidency debate, two parties– the Patriotic Union of Kurdistan (PUK) and Gorran– have stressed that they will have candidates selected if early elections take place in Kurdistan. According to Livn Press, early talks between the PUK and Gorran have resulted in the creation of a political union for any upcoming election, and the two parties have nominated Najmaldin Karim, the current governor of Kirkuk province, as their candidate for presidency of the Kurdistan region. An offensive operation by the Kurdish Peshmerga, supported by U.S.-led coalition fighter jets, resulted in the liberation of 12 villages and a strategic high ground position in Al-Dibis, the frontlines southwest of Kirkuk. Although many ISIS terrorists were killed, the Kurdish Peshmerga suffered from high numbers of casualties, and a high-ranking Peshmerga commander stressed his frustration with the offensive plans created by Kamal Kirkuki head of the Al-Dibis frontlines. In a recent statement, Women’s Protection Units (YPJ) Commander Newroz Ehmed said, “We have good relations with [the] International Coalition. It has been one year since coordination was established between the coalition and our forces. It has been going well from the resistance of Kobanî and liberation of Tel Abyad. Together, we have defeated ISIS many times, and with joint operations, [this] will continue more strongly.” Newroz stressed that certain sides try to sabotage their relations with the coalition forces. After Al-Nusra Front (a military wing of Al Qaeda) continued pounding the Sheikh Maqsood neighborhood in Aleppo for two days with mortars and heavy artillery, People’s Protection Units (YPG) forces repelled the attack, while civilians living in the Sheikh Maqsood neighborhood were prevented from entering or exiting the area. The bombing campaign ended over the weekend, and the YPG claimed victory against Al Nusra’s offensive operation. Casualties have not yet been tallied. The YPG media center announced the death of 28 ISIS terrorists and seven YPG fighters during clashes in Jabel Kazwan village near the city of Hasakah in Syria. According to the statement, YPG forces liberated the city of Hasakah completely, but the offensive by ISIS in Jabel Kazwan village was an attempt to regain its previous positions. Leaders from the Democratic Party of Iranian Kurdistan (PDKI) Khalid Azizi and Mustafa Hijri met and held a meeting to discuss the steps towards reuniting their party since its division several years ago. The fates of three Kurdish civilian activists in Marivan province are still unknown. They were detained by Iranian intelligence officers, according to Ettelaat. Want to get the Kurdish Situation Report delivered directly to your inbox? Sign up for our email newsletter below.